Publisher: Digital Publishing of Florida, Inc. There is nothing to fear but fear itself. One small step for man, one giant leap for mankind. There are many sayings that have become the backbone of America’s history. These sayings came from men and women who offered the world inspiration, hope and a driving determination to be better. From Abraham Lincoln to JFK and beyond - there are a list of human beings that have graced us with their lives, and left a lasting impression because of the faith they embodied. 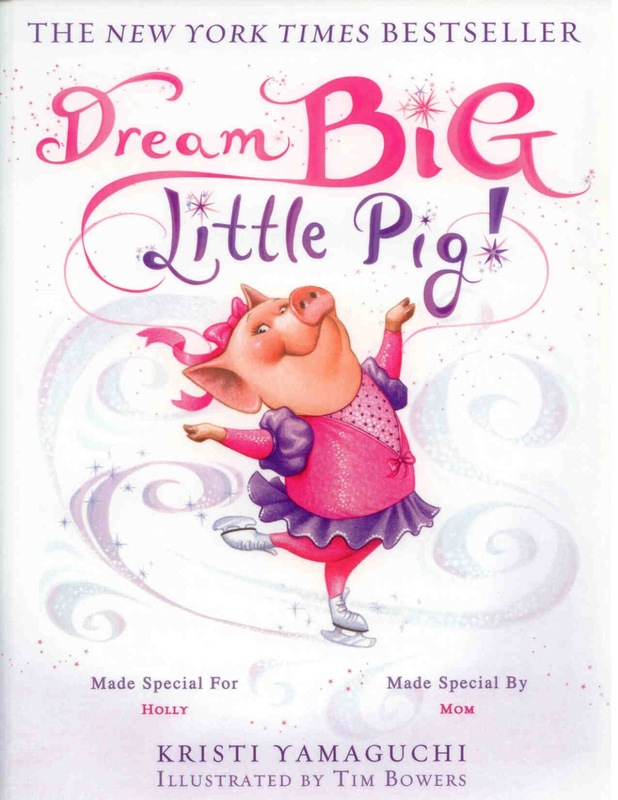 While reading this book of sayings, I was truly reminded of how dreams can become reality. Whether a person calls it a visitation from the Divine, or simply a dream where they wake up because they suddenly know whatever truths they may not have known before and need to write them down - it doesn’t matter. What does matter is sharing the information with others, and this writer has done just that. This small book is filled with unique insights into various areas of everyday life and concern. Are these solutions to all the problems we face as humans and as a nation? No. What they are is a way to change, envelop or understand another point of view. Opening yourself up to a different point of view is important. If it doesn’t happen, we cease to learn. From the social classes to the fight to attain wealth - each saying comes along with a description to better understand the author’s point, as well as a Lesson to be learned from each saying. This is about personal reflection. This is about giving yourself the chance to see a ‘light’ that you have perhaps missed along the way. There are so many excellent sayings in this book that it’s near impossible to pick just one for a review. However, being from a small town where wealth and the difference between social classes was immense, the author has one saying that really struck: “There is a trace of hard work in wealth acquired by a man, no matter how he made his wealth.” Some will shake their heads immediately at this. Some will talk about the ‘upper crust’ who actually did nothing except be born into the family and inherit the wealth that was left behind by someone else’s hard work. The truth of the matter is, it goes far beyond that. The Lesson is interesting, as the writer points out that hard work is not the only key to wealth. Being optimistic, prudent, disciplined and patient, comes along with it. Such is the recipe for success. Quill says: An inspirational learning tool that offers readers a chance to see all sides of various situations so that learning can continue. Colin Firth...Mr. Darcy...what more is there to say if you’re a female? (Long pause so you may capture the swoon-worthy image in your mind...) Colin may not have a large part in this novel, but he’s that pedestal that women seem to seek no matter what age they are. Bea Crane is handed a letter one year after her mother has passed that tells her she’s adopted. Wham-o! Nothing like finding out news like that when you’re all grown up working at Boston’s Crazy Burger. Emotional turmoil sets in, but Bea does find out the information she needs and heads to Maine to face the mother who gave her up many years ago. Gemma Hendricks seemingly has it all; a loving husband who wants nothing more than to move to the burbs to be near his mother so Gemma can live the stay-at-home mom, 2 kids, 2 cars in the garage, white picket fence, American family life. Trouble is, Gemma is a reporter and doesn’t want that life. She gets so angry about her husband’s constant whining that she heads up to Maine to visit a friend of hers. Of course, it’s not just the whining, she’s also pregnant and has no idea what to do next. In this small town of Boothbay Harbor Gemma finds a new outlook on life by working on a news story about the girls staying at Hope House, a home for pregnant teens. Bea and Veronica meet and have to deal with questions from the past. And a fantastic cop named Nick is in the mix who may just be the ‘catch’ that Veronica can nab with one of her Amore pies. I do have a negative. There are no recipes. I want those elixir pies and I expect this author to send me the formulas ASAP! (Or just send me Colin Firth and we’ll call it even). Quill says: Location is stunning; characters are unforgettable; plot is woven perfectly. Bravo! Here's a nice sample of the books that have come in recently. 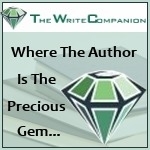 Check them out, then stop by in a few weeks to read the reviews! 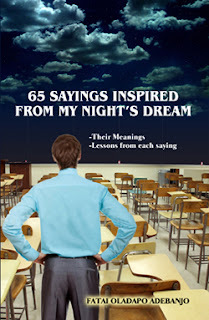 65 Sayings Inspired From My Sleep's Dream by Fatai Oladapo Adebanjo One day Fatai fell into a deep sleep and discovered something marvelous and unusual. In his dream, he saw a classroom with empty chairs, and saw a quote on a chalkboard. The quote, which was written anonymously on a chalkboard said, "A drug is a root that comes from money in such a level." This led to a turning point in his life. Fatai, who never knew how to write, suddenly received inspiration that made him write 65 of his own sayings, their meanings and the lessons to learn from each of them. "I believe God wrote the quote on the chalkboard in the dream, to teach me the inspiration to write mine," Fatai said. Fatai will donate part of the proceeds from the sale of this book to the Charity to promote ONE LOVE globally. Saving Faith by Patrick Garry Because of a misguided medical diagnosis as an orphaned child, Jack Fenien was never adopted. Now, two years after leaving the orphanage, he works as a repossessor for a used car dealer. One night, he enters a bar looking for Ev Sorin, whose car Jack has mistakenly towed. Expecting violent anger, he is surprised when Ev reacts with indifference; but as Jack soon discovers, Ev - a disgraced journalist - has bigger problems on his mind. The next day, in the same courthouse to which Jack and Ev have gone to arrange for the release of Ev's car from the impound lot, a nurse and young woman sit in a crowded courtroom opposite a row of lawyers, asking the judge to keep alive a comatose patient whose true identity is unknown but who has been given the name Faith Powers. After the hearing, Ev seeks out the nurse - not for years has he done a real story, and he feels a sudden urge to be a journalist again. It is an urge that will connect Jack with Clare, the troubled young woman who appears to have an almost fanatical attachment to Faith. Intrigued with Jack's role as a repossessor, Clare sees him as a kind of modern moral prophet. Although the characters initially focus on investigating Faith's real identity, they eventually come to use Faith as a catalyst for changing their own lives. But not until a seemingly random shooting occurs in the city do the characters become truly immersed in the mysteries of the patient and of each other. Courage by Disko Praphanchith Courage chronicles the tale of two friends over the span of a lifetime. There is Jenny Park, a Korean-American girl whose search for her identity in this world alienates her from her Korean kinsfolk. There is Daniel Fischer, an intense, thoughtful, and brilliant young man whose mind separates him from the rest of his peers. The two meet early in life and form a deep loving friendship. As time passes, however, it is this very friendship that becomes their greatest source of pain where an inability to voice their love for one another drives them apart. Years later, and Jenny is a broken woman living under the tyrannical hands of her husband. Her life is hell, and each day is spent uselessly tolling away without meaning. When Jenny sees Daniel one night, however, memories of love and friendship stir deep in her heart. With these memories suddenly rekindled, Jenny flees from her husband, travels back into the world, and attempts to reunite with the boy she once loved and knew. Heartrending and deep, Courage infuses an emotional rawness in examining human individuality where personal identity is repressed. The novel moreover contemplates what it means to accept the inevitable loss of friendship in life—as well as what it means to simply love. The Magdalene Mystery by Christine Sunderland Ten years ago a gunman opened fire in a parking lot, killing her parents. No one ever found out why. But a trip to Rome might reveal the truth. Thirty-year-old Kelly Roberts receives a mysterious envelope from her late godfather, director of a news service dedicated to exposing media lies, summoning her to Rome for a promising legacy. After losing her job, Kelly, a single parent, fears for herself and her five-year-old son. She could sure use the money implied in her godfather's letter, but she can't afford to go to Rome, she can't leave Matt, and she can't take him with her. Even stranger, the note says to contact Daniel Weaver, a professor familiar with Rome. To receive the legacy, Kelly must first locate her godfather's hidden research on Mary Magdalene. Accompanied by thirty-five-year-old Daniel, Kelly embarks on the journey of a lifetime, finding clues in Rome basilicas, the Apostles' Creed, and her godfather's letters. But she is shadowed by another professor who preys on the young, both online and on campus. Desperate to find the manuscript that could expose him as an academic fraud, he is willing to do anything to keep that from happening...even murder. Unlock the Magdalene mystery...and the power of historical truth. Tragic by Robert Tanenbaum Prizefighter tough. Street-hustler smart. Pit-bull vicious. Longshoremen’s union leader Charlie Vitteli is like a cold-blooded villain straight out of Shakespeare’s Macbeth. Busting heads on the docks of New York as a brash union organizer, taking no prisoners as the newest president of the North Ameri­can Brotherhood of Stevedores, Vitteli clawed his way to the top of the heap—and no one’s going to take him down now. Not if they value their lives. Like Vince Carlotta. The union boss’s fiercest rival has accused Vitteli of embezzlement, election rigging, and other abuses—and even called him a crook at a union meeting. Now Carlotta is just another corpse on the waterfront—allegedly gunned down by an armed robber. It doesn’t take a genius to figure out that Vitteli is somehow involved. But proving it is a whole other story. Enter District Attorney Butch Karp and his wife, Marlene Ciampi. Drawn into the case by a friend who manages the East Village Women’s Shelter, Marlene speaks to the abused girlfriend of a man who may or may not have been hired to kill Carlotta. Marlene follows her lead to three different assassins contracted for the hit. But connecting them to Vitteli—and proving it in court—could be the death of anyone who tries . . . unless Karp can uncover the one tragic flaw that could bring down the curtain on this Shakespearean villain once and for all. Discovery Channel Sharkopedia: The Complete Guide to Everything Shark Meet the most incredible creatures in the sea! Sharkopedia takes you inside the exciting world of sharks. From Discovery Channel, the people who bring you Shark Week every summer, learn everything there is to know about these awesome predators. The book includes more than 400 photos of sharks and all 498 known species of sharks. It is so rare in this day and age of werewolves, vampires, serial killers, etcetera, to receive a book that’s beyond witty, highly intelligent and downright charming. There’s a reason why books become ‘classics;’ it’s because people simply can’t stop reading the book. And because of the beauty of the story, they want to pass that book along for generations to come. This is a classic. This is the Deep South at its finest, with characters from different backgrounds joining together for a road trip that will literally change their lives, as well as the lucky reader who’s along for the ride. Starla Claudelle’s mother left her when she was only three-years old. Lulu was a woman who wanted more than her small town and motherhood; she wanted the chance to head to Nashville, stand on the stage, and become the next American country legend. She promises Starla that one day Momma will be the best of the best and she and Daddy will join her in Nashville to live in a big house as one big happy family. However, Starla can’t count on her father. He basically lives inside himself, working on an oil rig in the Gulf where he spends most of his time away from her. The only person Starla gets to see on a daily basis is her grandmother, who is more military than cookie-maker. Grandma has a way of finding all Starla’s faults and punishes her with restrictions whenever Starla even attempts to have a good time. Grandma is so sick of her that she threatens to put Starla away in a reform school, lock the door and throw away the key. What’s a girl to do? Well, you see Starla - even though she’s only nine-years-old - does have some of Lulu in her. She has a sassy demeanor and a desire for a better life. And in the summer of ‘63, fearing the reform school, Starla finds the courage within herself to head down the road and out of town as fast as she can. Starla wants her life to change; she wants that promise Lulu made so long ago to come to fruition, but what she finds in her escape is something even better. Eula is a black woman who’s making her own way down the road with a white baby in tow. Offering Starla a ride, reality comes to the surface as the young girl with the big dreams realizes what life can hand you…and how with strength and hope she can change her fate and become her very own star. This is one of those beautiful tales that offers the entire spectrum of sadness to elation. Each word seems to be a new lesson in life, and the characters work off each other brilliantly. Quill says: In the age of sci-fi and fantasy, this book is a breath of fresh air you’ll never forget. Okay, on this one, I'm speaking from personal experience. 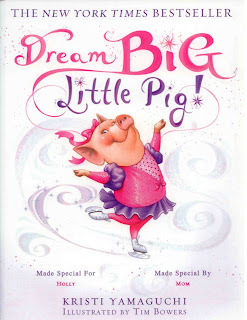 I "Put" my daughter in the story, using Kristi Yamaguchi’s debut picture book, Dream Big, Little Pig. AND the best part, have his/her name appear right on the front cover! The process was super simple, took just a few minutes, the price was quite reasonable, the book came quickly and it looks great. Personalize Your Very Own Berenstain Bears Book! 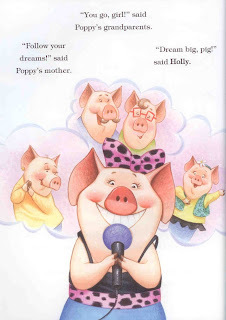 With Put Me In The Story Personalized Books, Make Your Child the Star of Treasured Children’s Stories! CHICAGO – July 16, 2013—A personalized edition of The Berenstain Bears® beloved classic, Home Sweet Tree, is now available exclusively at Put Me In The Story, which takes nationally bestselling children’s books by celebrated and award-winning authors and integrates personalization—creating customized books that make your child the star of treasured children’s stories. Now parents will be able to create a personalized book that integrates their child’s name throughout the classic story. The book also includes a dedication page at the front allowing customers to insert a personal photo and message plus a special page at the end where you can include a picture of your child’s home. Custom print orders of Home Sweet Tree are available now, priced at $32.99. It’s a simple three-step process to order a book. 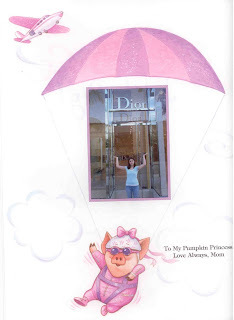 Just go to www.putmeinthestory.com, choose from our catalog of popular children’s books, and personalize the book with the child’s name, photo, and personal message. The book is then printed and shipped to you! For a limited time, customers will receive 15% OFF* their entire order! Sourcebooks recently announced the addition of Sesame Workshop’s Elmo Loves You to the app and website, along with My Name Is Not Isabella and My Name Is Not Alexander, the New York Times bestselling picture books by Jennifer Fosberry. You can also create and order personalized editions of many of the books available at Put Me In The Story on the free iPad app. FQ: The first question is something everyone will ask: Are you a Harry Potter fan; a lover of the fantasy adventure? Harry Potter is beloved to me. That little boy under the stairs shows what a strong will and companions can accomplish, no matter your upbringing, and yes I love Fantasy adventures, as well as sci fi, mysteries, history, horror, things that go bump in the night. C.S Lewis was a huge influence on me as a child and he brought me the priceless gift of the joy of reading. 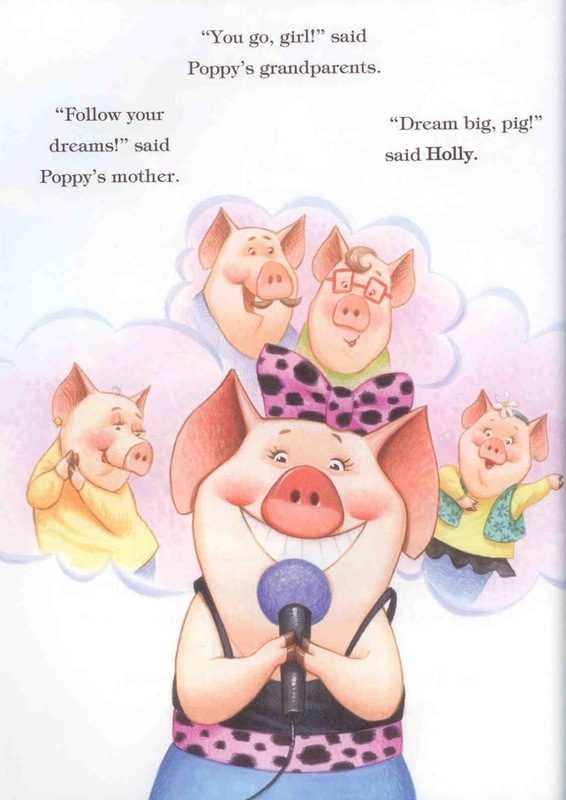 FQ: I read that you began writing, or at least dreaming about this book and concept when you were only 8 years-old. What made you decide to finally release this series? When I was 8, I started to write short stories. I lived in a busy urban neighborhood, and enjoyed the escape. I created a large map of Azimuth as well. I also wrote, among others, a short, titled Wolver-Mutants, about wolverines exposed to radiation that stalked a small town and a local detective working on the case. I continued to write in college, and had the support of my professor in his creative writing classes; we still keep in contact today. When I graduated, I left his work study to head to Wall St. in a competitive industry to pay the rent. My professors words haunted me when I left, he wanted me to work on the craft and was disappointed. After advancing in my career, and starting a family, I found a dossier from college filled with stories from my creative writing classes, and also my map I made at 8, and my old steno pad I started writing in back then. So I began writing again, inspired by that 8 year old boy that wanted to be an author. Life and its responsibilities and demands can get in the way of your passions sometimes. I learned to listen to that enthusiastic little boy again. I often thought of the story over the years and where I would go with it. After I completed the rough draft, a close friend who is a major publicist was given the manuscript from my wife, and after reading it he encouraged me to pursue my writing, and not to consider it just as a hobby. FQ: All of the myths and legends you play upon would lead readers to believe that ancient history and cultures are something you study. Are you a researcher? A librarian at heart, perhaps? Yes, I love researching when I develop my outlines, and history in general. I believe we are not alone in this universe, and that good and evil does exist, and not just on the mortal plane. I also believe that there is a strong possibility, in the billions of years the Earth has existed, that we were not the first advanced civilization that existed here. So I read a lot, not just fiction for pleasure, but on history and theories that revolve around it. I recently finished some books on Machu Picchu, the Canary Islands, the map of Piri Reis and the Mayans. I find it fascinating. FQ: There certainly is the factor of the celestial heaven and hell versus the mortal world in your novel. Having said that, what are your thoughts about the YA genre now turning more toward the ‘angel’ and further away from the vampire/werewolf topic? I loved vampires as a kid (Salem's Lot was one of my favorites) and the supernatural. The genre has been obviously a little bloated of late, both in books and film but I still enjoy it if its a fresh twist. While I was growing up, I would spend summers with my grandparents in eastern Europe. My grandmother was full of tales of witches and ghosts from the old country, and I ate them up. The setting of her village was very old, and had a Transylvania type feel to it. Angels, yes. I hear they have been trending. The Truth Seekers, many consider as angels. I don't think, regardless of what faith you follow, that life ends when we pass. I believe that quite possible there may be the ultimate battle ahead of us, and there is a struggle between good and evil, and we will all be needed when we are ready. The sequence involving Lucas Denon came to me from a dream I had after a near death experience, involving John Lennon. The dream came when I was hanging on to life. Or just maybe it wasn't a dream, but a journey. It shook me to the core when I awoke. I saw something. I fully recovered from my ordeal, but what I saw did inspire me in developing the celestial backdrop and the world of Azimuth. I would, however, never attempt to chase a trend, I write what comes to me through the story and my experiences and research. I like to think a lot, and study, before I write, and let it marinate before it all pours out. FQ: Mr. Dempsey, the librarian in your novel, is a great guy. As an author who most likely loves the ‘smell of the new book,’ how do you feel about the overwhelming eBook Age? Do you feel it’s a benefit to the YA’s, or a negative in the fact that ‘real’ books may be on their way out and replaced by only electronics? I think print will always have its place, and yes I love a hardcover. Libraries will always exist (I pray) but, as a matter of convenience and cost, I find myself reading on my kindle app on the Ipad more and more. I used to have a heavy knapsack full of print books when I traveled; it is nice to have it in one place, and no night light needed. I do think, for better or worse, that digital will continue to increase in market share going forward but I don't see this as a negative. Words are words. They can entertain you and teach you in more formats now is the only difference, and it is green. When I read a ebook I really like, I go ahead and get the hardcover for my shelf. I do worry about the distractions that young adults face today, with social media, video games and all, I just hope they find the time to read a good book and discover that passion while young as I did. FQ: The pictures offered in the book: Were you the illustrator? I am blessed, I feel, to be working with Mallory Rock, who did the illustrations, the cover, assisted on my website, and the book trailers for the Silver Sphere. She is hands on, and we have become good friends in the process. I think she is incredibly talented, and a big part of my support group and process. FQ: It must be a very humble feeling to see this project you’ve worked on for so long finally come to fruition. Do you know how many books will comprise this series before all is said and done? To see the project come to fruition...I was speechless, and I am still overjoyed with the process so far. The Tannenbaum company, a successful Los Angeles production company, loved the screenplay I co-wrote with an industry veteran, and they have recently signed a shop agreement for the movie rights. I had to pinch myself when they called. My wife, god bless her, was always in my corner, and in the end I developed a strong support group around me. I have a serious day job, and have been involved heavily in my community as a youth coach and fundraiser, so it is important to have that support when I need to lock myself in a room for days when I'm in mode. To read the positive reviews and receive some of the awards recently garnered; it really moves me emotionally. I always get butterflies when I read a good review, and I am always humbled and thankful when I receive one like yours. This set of Kin will go through a trilogy, and then my plans are for a prequel revolving around the first great war on Azimuth, and Hideux's rise. FQ: And one last question for the fans: Which of these amazing characters do you identify with the most, and why? There is always a piece of me or a friend in my characters, however Nick Casey really resonates. 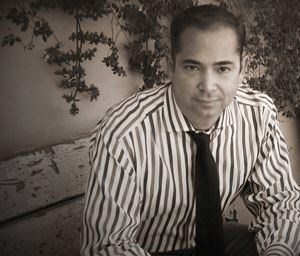 I lived his transition to a Truth Seeker partly in a dream, and believe many of his actions would come naturally to me. I wrote his character thinking what I would do under the circumstances he faced. FQ: Thank you for you time, and a great read. I look forward to Book II. To learn more about The Silver Sphere: Book I of The Kin Chronicles please read the review at: Feathered Quill Book Reviews. An interesting article from WebProNews on Facebook and how many people see your posts, the purpose of 'likes" and what they mean, etc. Check it out!